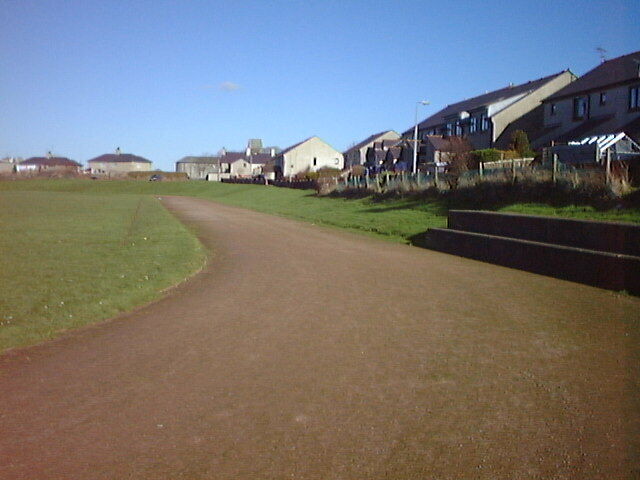 The track is a redgra one and is on playing fields off Millbank and has views to the surrounding mountains. The Welsh Schools championships were held here in 1970. The track itself is in fair condition although the inner and outer lanes are slightly overgrown. The field-event facilities are in a less good state and not really usable. The track is owned by the nearby Holyhead County Secondary School, South Stack Road, HOLYHEAD, LL65 1NP. In July 2001, the local council were awarded a £180K lottery grant for the construction of a full size floodlit artificial turf pitch with athletics training facilities. The exact details of what is proposed to be provided is not known.